Based in Gloucestershire, AERO-i was formed by best buddies, Olly and Duncan, in 2015. Before this we were Unmanned Aerial Vehicle (UAV) hobbyists who realised we could attain that much sought after but rare opportunity of getting financial reward for a job we truly and wholeheartedly love. The enthusiasm with which we work, because of our passion for flying drones (UAVs) and capturing brilliant aerial images, means our clients receive a professional and drama free service. Now for the serious bit: AERO-i has £2,000,000 public liability insurance, so don’t worry, we have you covered! But if you have a project that requires more cover than this, just let us know and we can arrange it. 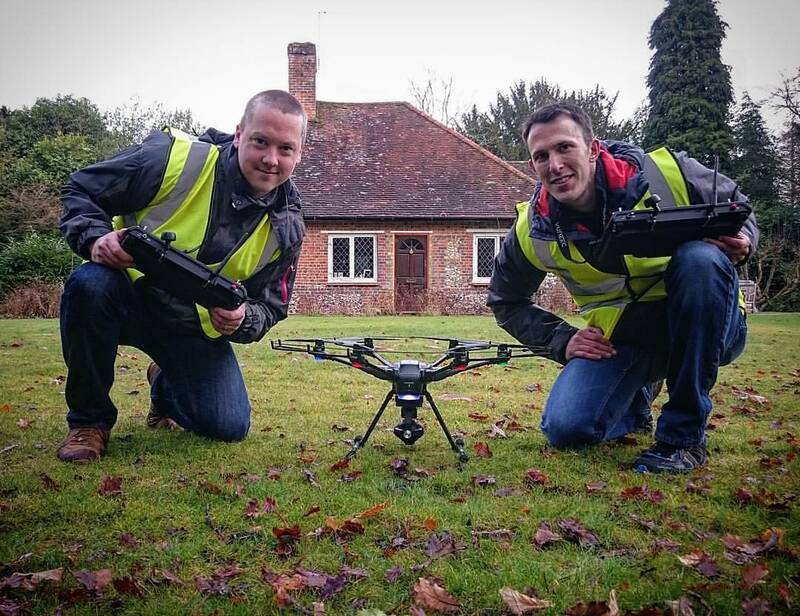 Our drone pilots, Olly and Duncan are both fully qualified to carry out aerial work, having trained with ‘Whispercam’ who were approved by the Civil Aviation Authority (CAA) as a National Qualified Entity (NQE). Olly and Duncan currently hold the Unmanned Aircraft Pilot Qualification (UAPQ) and operate under AERO-i’s Permission For Commercial Operation (PFCO) which has been granted by the CAA. All certificates, permissions and insurance documents are available to view at any time should our clients request them. Safety is paramount to AERO-i and as such, full site and risk assessments are carried out prior to any drone operation commencing. As part of our pre-operation site assessment we make all the necessary safety checks concerning the airspace we are going to be operating in and make sure all the appropriate authorities/services are contacted. We do all the planning and make all the necessary arrangements so you don’t have to! With AERO-i you are in safe hands. Our aircraft of choice is a ‘Hexacopter’. And yes, you guessed it, this means it has 6 rotors. This may seem insignificant at first, but in fact, it is quite the opposite. Our aircraft has 6 rotors, but it can fly with only 5. So you can relax, in the knowledge that in the extremely unlikely event of a motor failure, you won’t see your project plans falling from the sky! We offer a range of services, Aerial Photography, Aerial Video, Video and Photographic Editing and Production and Aerial Surveying and Inspection of hard to reach or large areas. Although we are based in Gloucester, we are happy to undertake work anywhere in the UK and we are available for overseas work. Our drone uses the latest in UAV technology to allow ‘dual operator’ meaning that Duncan and Olly can work together to achieve your goals. We hope this gives you peace of mind knowing that the drone pilot can concentrate solely on flying the aircraft and the camera operator can work independently to capture beautiful cinematic footage. Our drone also has retractable landing gear, and a totally unrestricted 360° camera gimbal so that nothing gets in the way of that perfect shot! As well as this, the images captured by our drone are beamed back to the transmitter to give a ‘live feed’ offering the client the possibility of giving mid-flight direction. But if you’d prefer not to be on site with us then Duncan and Olly can easily work from a written list of the project requirements. We can record in a number of different frame rates from 1080 HD up to 4K. We are able to fly up to a maximum of 20 minutes per battery, dependent on the weather conditions at the time. But we also have the facility to re-charge on site, or even in the car if necessary. Whilst they will always try to work as a pair for added safety, Duncan and Olly are also completely at home managing projects and operating alone, therefore providing greater flexibility to work with you.